Contact Katrina at NSW Ferret Welfare Society Inc. to express your interest. Another successful adoption - amazing work NSW Ferret Welfare Society Inc.! More successful adoptions - amazing work NSW Ferret Welfare Society Inc.! Rescue group: NSW Ferret Welfare Society Inc. I am inseperable from my partner Maisie. We are a pair of adorably cute well behaved ferrets. We have been extremely spoilt, but unfortunately we need a new home. We will keep you entertained for hours and love you unconditionally. Snuffler. I am sensitive to dust and changes of seasons. This means I tend to sneeze and wheeze a bit more than usual. It does not affect my overall health. Ferrets are $195 each, or $320 for a pair. They come desexed, fully vaccinated and wormed. Any known health issues will be disclosed. A 2 week Health Guarantee will be issued with the ferret including a 6 week partial refund for Change of Mind. 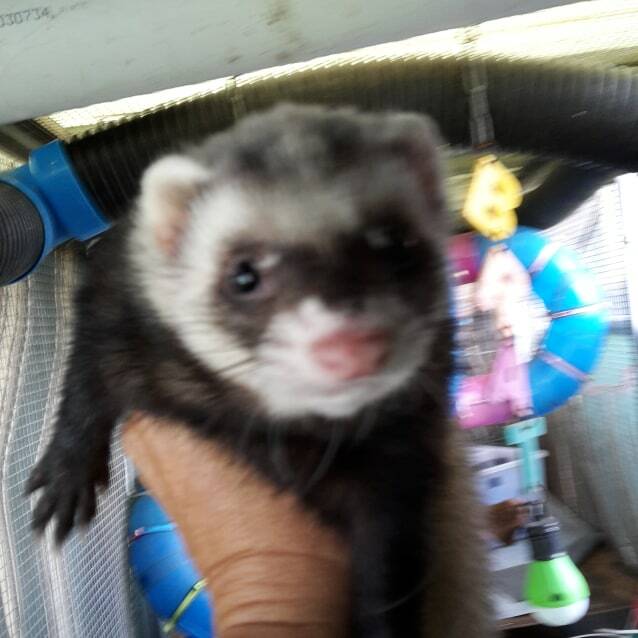 It is essential that propective owners personally meet the ferrets before adopting. Ferrets will not be put on 'Hold'.